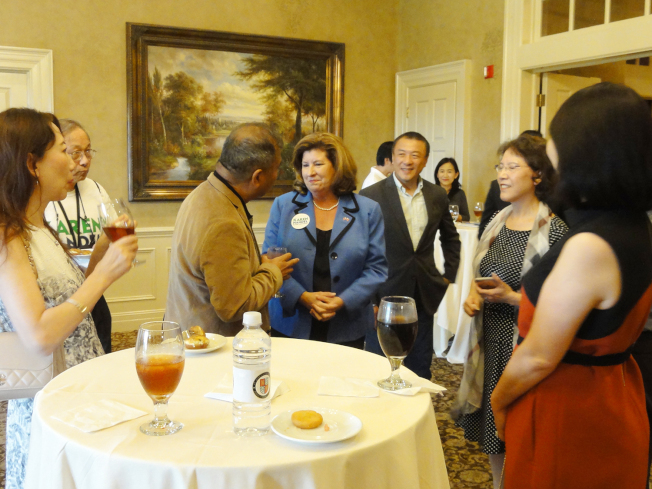 Vote Karen Handel for Congress for GA 06. She is someone you know. She works with proven track-record for the community. And she LIVES in the district. 同时共和党纽约国会议员Rep. 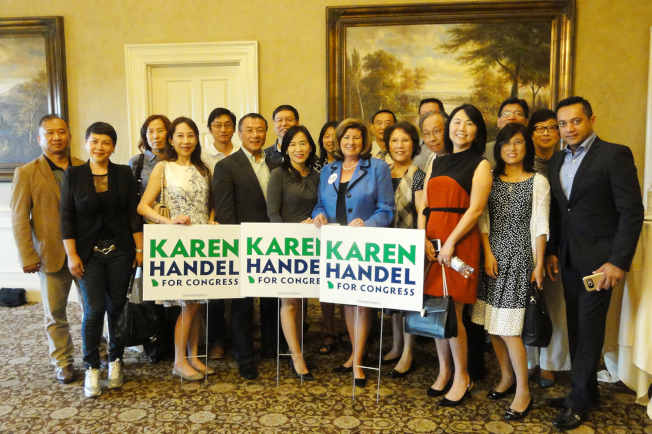 Claudia Tenney，在Steve Scalise 国会枪击案后也接受到了恐吓邮件说"one down, 216 to go..."
我們也以實際行動支持共和黨六區 (Georgia) 候選人 Karen Handel，希望更多人加入. 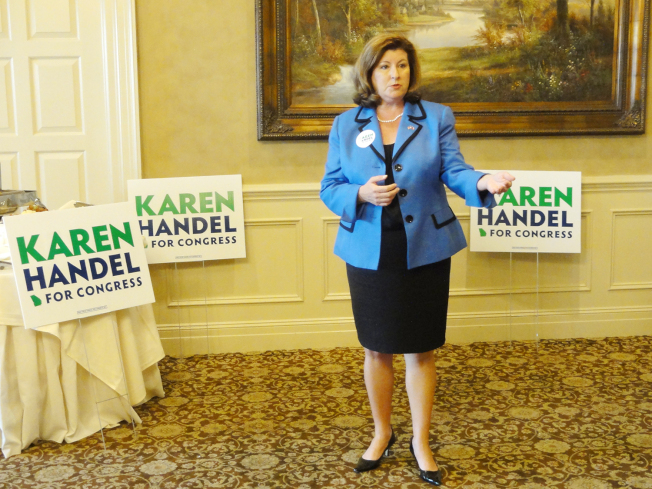 Almost 70,000 people have already voted in Georgia’s 6th Congressional District, raising the possibility thatearly voting totals in the hotly contested June 20 runoff between Republican Karen Handel and Democrat Jon Ossoff could top 100,000 before it ends next week. The official total as of Thursday morning was 69,559, according to data from the Georgia Secretary of State’s Office. That includes both in-person voting as well as absentee mail-in ballots. Early voting for the runoff began last week and runs through June 16. 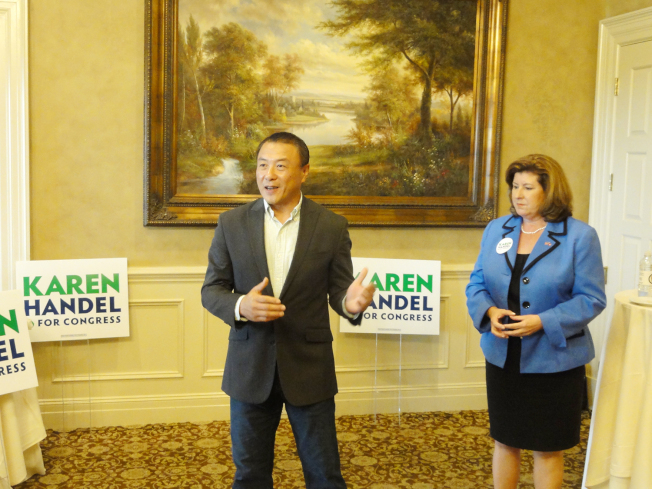 Select polling locations will additionally be open Saturday in all three counties with areas in the 6th District, including Cobb, DeKalb and Fulton. The totals in the runoff have already raced past early voting numbers ahead of the original April 18 special election, when about 55,000 people cast early ballots. There are likely a number of reasons why, including both voter fatigue and convenience, and local election directors have said it’s possible they’ll see more people casting ballots during the early voting period than on Election Day. Check where to vote before you go. These are not your regular neighborhood polling places. The municipalities only open select sites during the early-voting period. See below for early voting locations listed by county. Use the Secretary of State Office’s personalized online “my voter page” website (www.mvp.sos.ga.gov/MVP/mvp.do) to find more information and confirm your registration status. Or call your local elections office to find early-voting locations or look for the “advance voting info” link under the elections tab of the Secretary of State Office’s website (www.sos.ga.gov). No “ballot selfies” are allowed at the polls, so wait to snap a photo until you’re outside. It is illegal in Georgia to take pictures of a ballot or voting equipment, but the Secretary of State Office has said it has seen voters in previous elections post “ballot selfies” on social media — something that could get you in trouble with the law. Information about local elections can also be found on the free “GA SOS” app for your smartphone via iTunes or Google Play for Android.